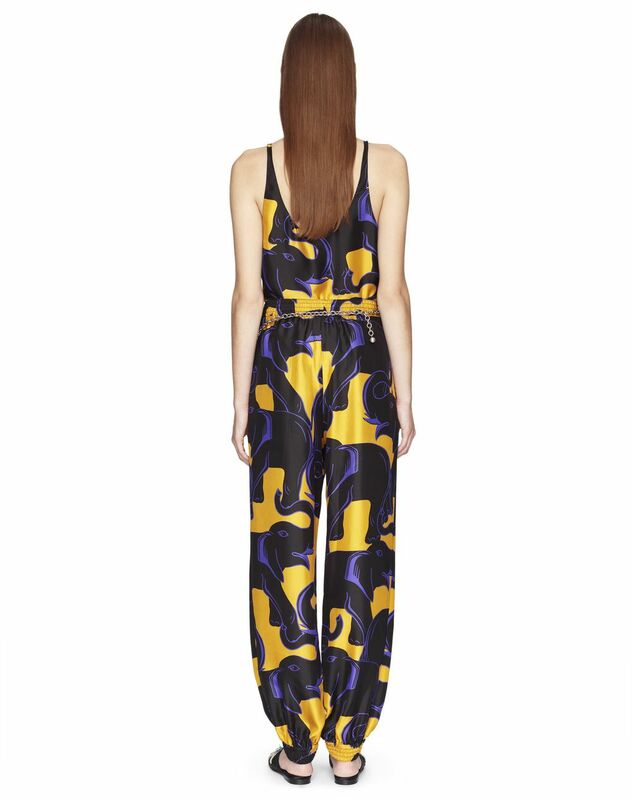 Flowing trousers in dark purple "Elephant" print silk weave, high waist, belt, and elastic hems. 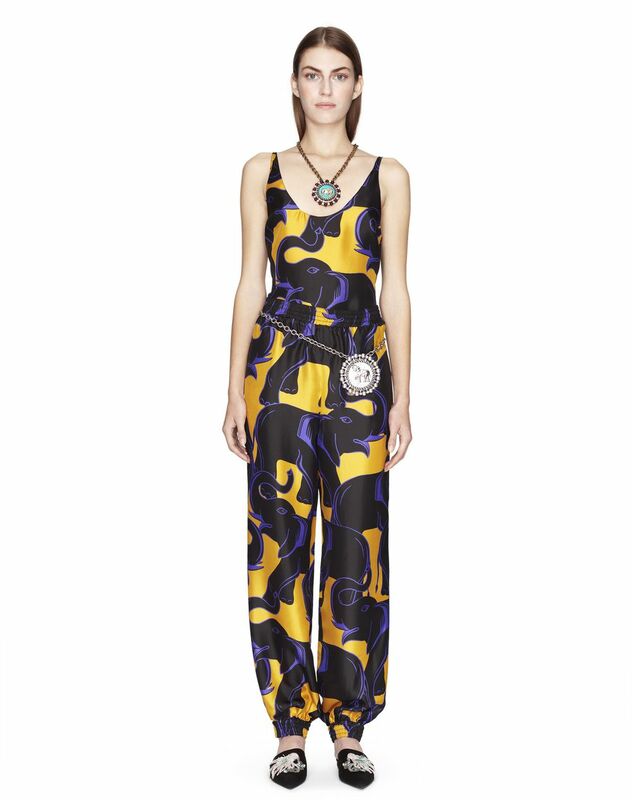 Inspired by travel, the season's key print stylishly adorns these silk weave trousers. 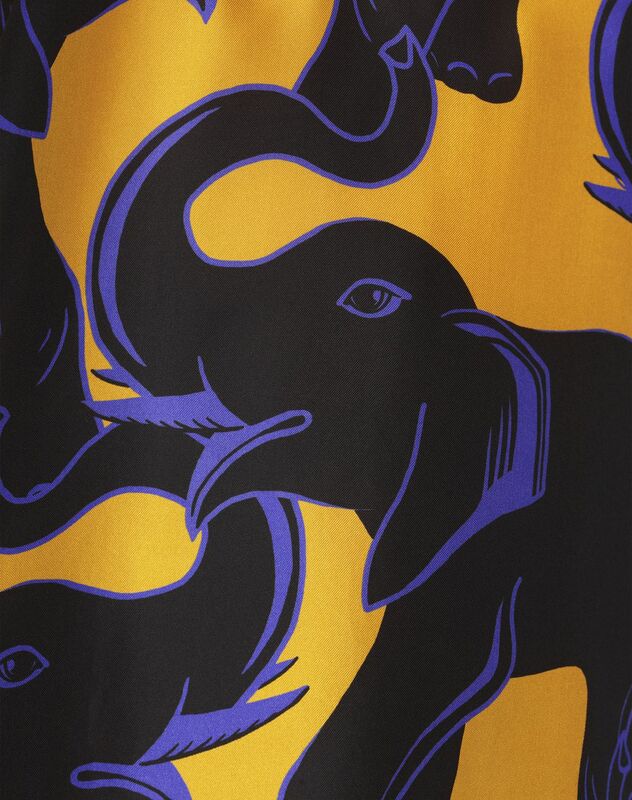 The graphic "Elephant" print in an exquisite palette of seasonal colours gives this piece its unique flair. Soft and lightweight, they offer a comfortable, flowing fit and can be paired with the "Elephant" print top or teddy jacket for a modern and elegant head-to-toe look. Main material: 100% silk weave. Model's measurements: Height: 178 cm Chest: 84 cm Waist: 59 cm Hips: 88 cm Model wears a size 4. Made in Slovakia.